Drawing inspiration from mid-century styling and simplicity, Danby's patented Contemporary Classic collection of compact refrigerators reimagine retro for the modern consumer. Featuring Danby's exclusive retro-inspired curved door design, matte black door finish, rubber-grip ergonomic handle and stylized worktop, its exterior features are only outmatched by its signature interior. 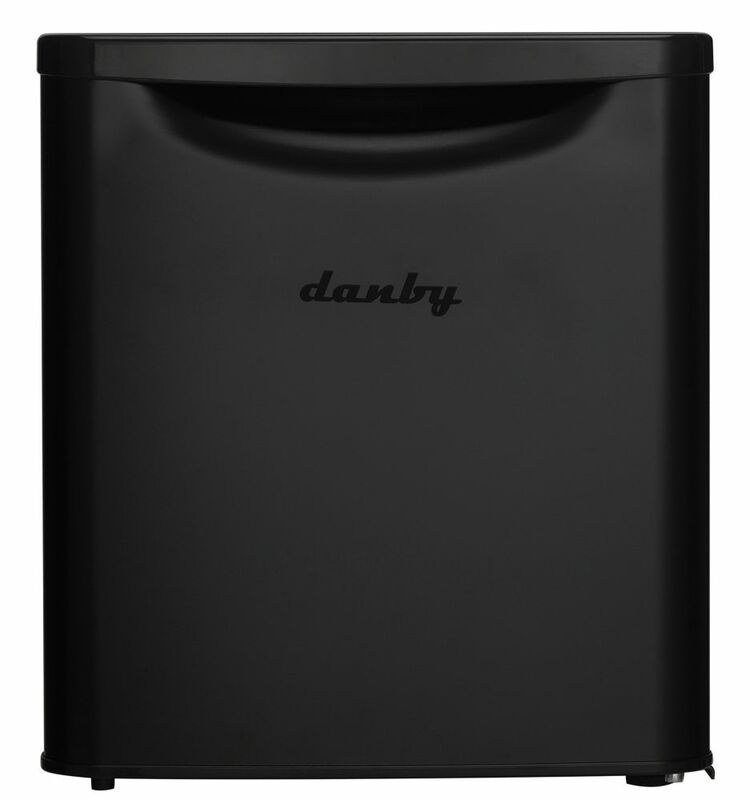 1.7 Cu.Feet Contemporary Classic Compact Refrigerator - ENERGY STAR® Drawing inspiration from mid-century styling and simplicity, Danby's patented Contemporary Classic collection of compact refrigerators reimagine retro for the modern consumer. Featuring Danby's exclusive retro-inspired curved door design, matte black door finish, rubber-grip ergonomic handle and stylized worktop, its exterior features are only outmatched by its signature interior. 1.7 Cu.Feet Contemporary Classic Compact Refrigerator - ENERGY STAR® is rated 4.7 out of 5 by 10. Rated 5 out of 5 by Ronzi from Fridge arrived in new undamaged condition. Operation is extremely quiet.... Fridge arrived in new undamaged condition. Operation is extremely quiet. Temp adjustment is ticklish. Knob is tiny, stiff, and poorly marked. Adj range seems to be from frozen solid to about 38 - 40F, perfect for storing photo film, my use for it. Love it so far. Rated 5 out of 5 by Adam from This fridge is amazing. It’s on my desk st... This fridge is amazing. It’s on my desk st work and is very quiet. Keeps everything cold and has tons of room. Rated 3 out of 5 by Hun from Danny mini refrigerator is very noise.. Danny mini refrigerator is very noise.. Rated 5 out of 5 by Jen from Shipped on time and in perfect condition. Just had to... Shipped on time and in perfect condition. Just had to plug it and start using it - runs really quiet and keeps everything nice and cold! Also great that it does not have a freezer compartment to defrost. Added bonus was the matte black finish and vintage look. Rated 5 out of 5 by Jack from Quiet refridge. Nice unit for the money.... Quiet refridge. Nice unit for the money.